Situated at the heart of the business and shopping district, Grand Park Wuxi is the perfect choice for business and leisure travellers. It only takes 2 minutes to the metro station and 20 minutes’ ride to popular tourist spots such as Taihu Lake. It is also conveniently connected with surrounding cities such as Shanghai, Suzhou and Nanjing. Stay in one of the 353 rooms or suites, and enjoy the stylish and warm ambience. Book your stay directly through our website and enjoy 7 exclusive privileges! Indulge at Park is a gourmet restaurant in Wuxi offering a wide range of authentic local and international cuisines. Its buffets provide expansive range of choices, including Southeast Asian specialities, international delicacies and cold seafood, creating a unique dining experience with the live cooking performances. It is the perfect place for couples, families and business associates. Kick start your day on the right note with a hearty breakfast. Enjoy daily buffet breakfast at a discounted rate when you book your stay with Park Hotel Group today! Book your stay directly with us and be rewarded with 7 exclusive benefits. *Please refer to individual hotels for specific benefits. 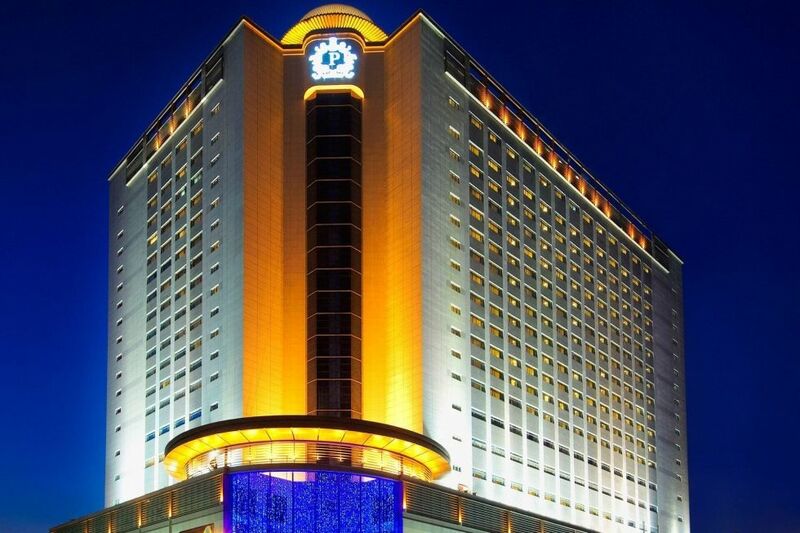 An amazing 5-star hotel with oriental charms, stylish design and modern convenience, Grand Park Hotel Wuxi offers extravagant accommodation to the highest standard through its 353 rooms and suites. The rooms come in a wide range of options, catering to the different needs of discerning guests. Stay in our Superior Room, Deluxe Room, Crystal Club Room, Standard Room, Executive Room, Deluxe Suites or Presidential Suite and enjoy refined and relaxing home away from home experience complete with modern interior design, high-speed internet access, satellite TV, etc. Huishan Old Town, one of the famed Wuxi attractions. Besides visiting the historic and cultural sites in the old town, tasting local snack food is another thing you should not miss while you are there. Kunming is the gateway to exploring some of the most beautiful, peculiar, breathtaking and unique natural landscapes of Yunnan. Visit these 5 insta-worthy destinations located just a few hours away from Kunming. Go ahead, embark on your dream getaway without spending a fortune with these 5 travel tips on how to save.